Celtic punk fans are well aware of the music from Chicago’s Flatfoot 56 and their front man, Tobin Bawinkel. Meeting Tobin is a memorable moment as he towers over a crowd with his 6′ 10″ stature, hence the reasoning for the name of Tobin’s side project, 6′ 10. The Americana musical style of 6’10 may surprise those used to the in-your-face punk of Flatfoot 56. 6′ 10 delivered their premiere release, The Humble Beginnings, on August 26 through Bandcamp. It may be humble, but it does define the genre with it’s simplicity and earnestness. 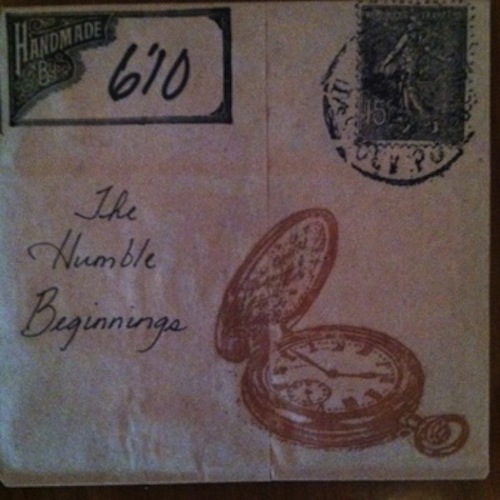 The Humble Beginnings, is a concise package that draws the listener in and touches their heartstrings. Check into the music of 6’10 or purchase the ep on the bandcamp link below.